A small but growing number of people here believe that immersing yourself in nature can boost your mood, reduce anxiety, and make you happier. Now, who wouldn't want that? Yap You Min first experienced forest therapy during a five-day hiking trip in Kenya. "We were taken through the forest at a really slow pace. I found it difficult to settle into it at first, but by the end of it, I realised I had gained a lot of mental and emotional clarity from taking my time and observing how things in nature unfold," she says. It was the most tranquil she had felt in a long time. On returning home, You Min found it hard to recapture what she had experienced. That is, until she chanced on a video about forest bathing on Facebook. 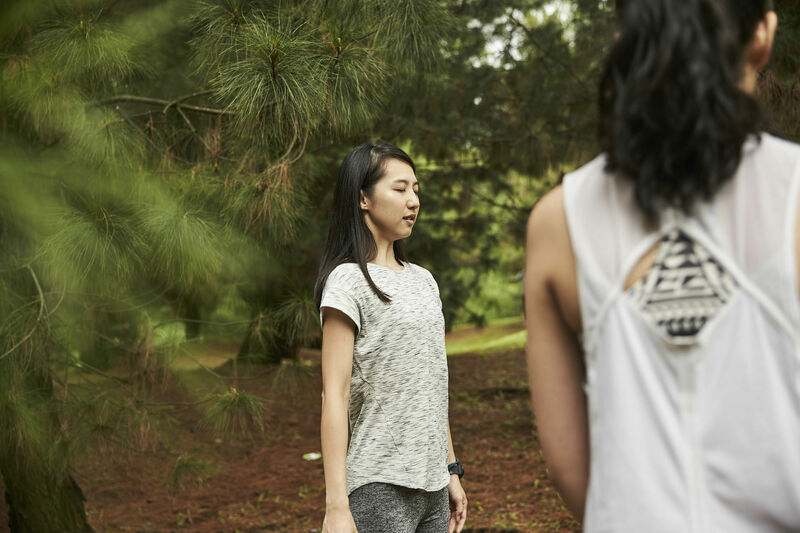 It's a Japanese practice where people focus on being present in nature, with the belief that it helps them discover new perspectives and insights. 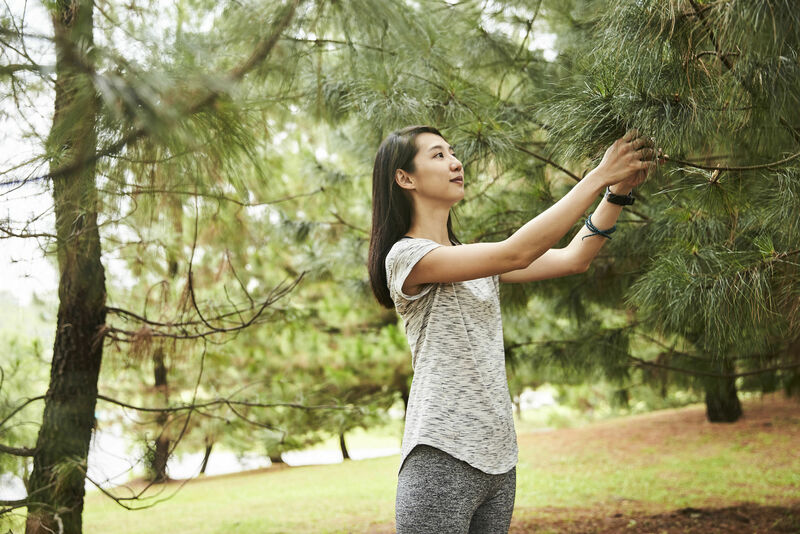 Among other things, she leads fortnightly forest-therapy walks in parks such as the Singapore Botanic Gardens, Fort Canning Park, and the Japanese Garden. Each session - which costs $35 and allows a maximum of 12 participants - is two and a half hours long. Think of forest bathing as a type of ecotherapy - a term coined by author Howard Clinebell in 1996. Practitioners of ecotherapy believe that spending time in nature has psychological benefits. The research backs it up. A 2013 University of Essex study found that taking a walk in nature reduced depression scores in more than 70 per cent of its participants. But the question is, does it really work? Or is this New Age mumbo? I put on my activewear, slapped on some mosquito repellent, and joined a forest bathing session at the Japanese Garden led by You Min. We began by holding "worry stones" in our hands. These smooth gemstones are used for relaxation or anxiety relief, and the process helped me let go of negative thoughts and fears. After that, You Min worked on "opening up our senses". She told us to walk slowly, feel the breeze, watch the dragonflies, and listen to what was going on around us. That was hard, because I'm not the sort to meander, and I had to hold back from overtaking people ahead of me. Throughout the session, You Min prompted us to talk about what we had observed. I told her I'd been watching a monitor lizard and turtle, and how comfortable they seemed roaming at their own pace. Articulating my feelings alongside everyone else made me feel less self-conscious, while paying attention to what was going on around me also helped to quieten the noise in my mind. Later, we spent 10 minutes just sitting in one spot and observing our surroundings. All in, the guided walk made me feel calm, refreshed, and ready to tackle the rest of the day similar to a good yoga class. Some businesses here are helping people in Singapore ease into ecotherapy. 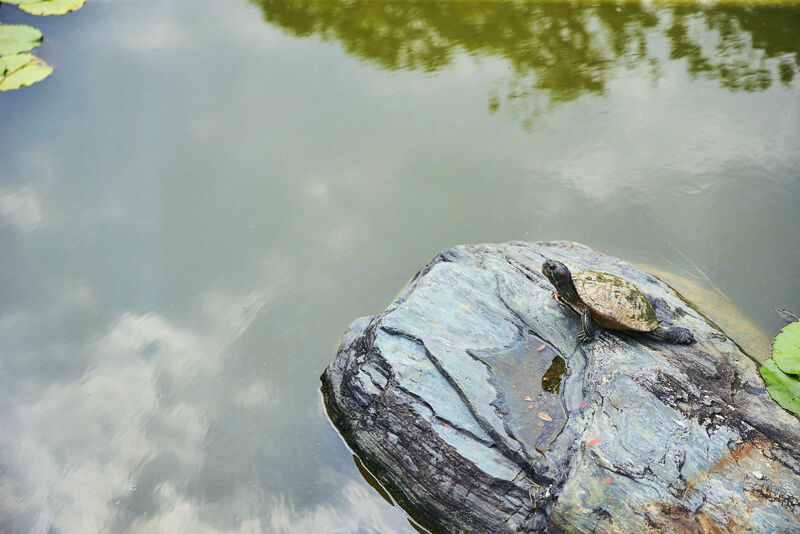 John Holden, founder of executive coaching and organisational consulting practice Mind Odyssey (from $3,000 for a half-day nature-programme workshop), launched a nature-based corporate coaching programme last year. The aim? To help busy professionals reconnect with nature. Singapore, with its reputation as a "garden city", was a perfect fit. John, himself a nature lover, structures his programme as a half-day or full-day workshop. Take his Hort Park programme, for instance. The day begins indoors, where participants create art that allows them to reflect on their stressors at work and in other aspects of life. This also gives them a better understanding of their colleagues and their triggers. After that, the group moves outdoors for a series of activities - for example, looking at objects in nature and sharing memories that are sparked by what they observe. "It's for them to draw connections between nature and their lives, while fostering a bond with the team," says John. If forests and parks aren't your scene, immesing in nature can also be done at a beach or reservoir. Try Mindful Paddling. It's a programme run by Ding Kian Seng, co-founder of Splashaxis (from $50 a session), which combines his love of paddling and meditation. Participants are encouraged by Kian Seng to be present and aware of their thoughts, emotions and surroundings as they paddle. The session closes with meditation out on the water. You don't need to be an expert kayaker to take part in this. Kian Seng says participants feel the practice de-stresses them and gives them clarity to relook challenges. He adds: "In some cases, participants get so emotional after the session, they tear up." This story was originally published in the May 2018 issue of Her World.